The French city of Orléans is an attractive community located on the banks of the Loire River. Among its many landmarks and tourist attractions, is the beautiful old Sainte-Croix Cathedral which closely resembles Notre Dame Cathedral in Paris. 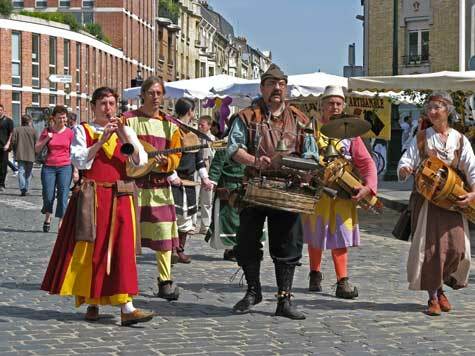 Each May, residents of Orléans get dressed up in traditional clothing and celebrate Joan of Arc week, a local festival. Visitors can enjoy medieval food and local customs. There are a number of good hotels and tourist lodgings in Orleans. The city is centrally located for visits to nearby chateaus in the Loire Valley. Located just 120 km southwest of Paris France, Orleans can easily be reached by train from the French capital.